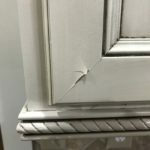 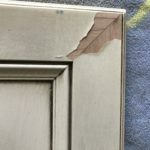 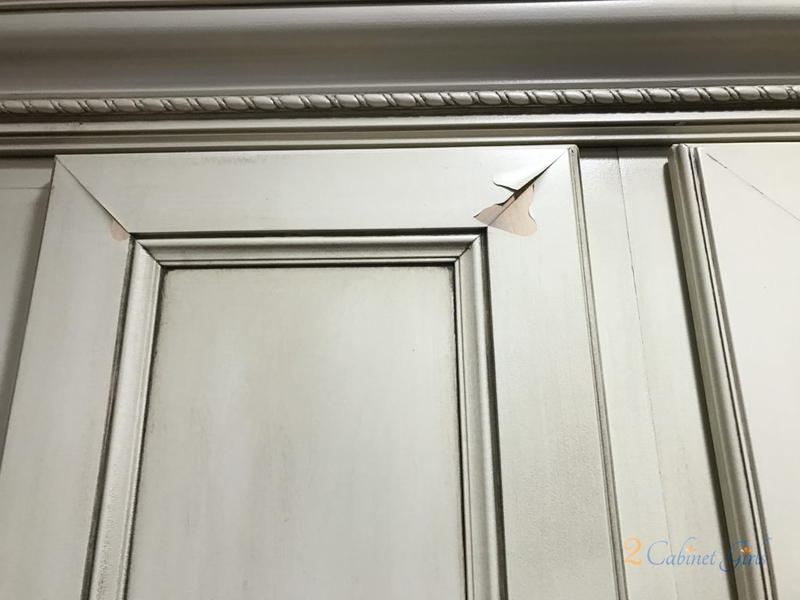 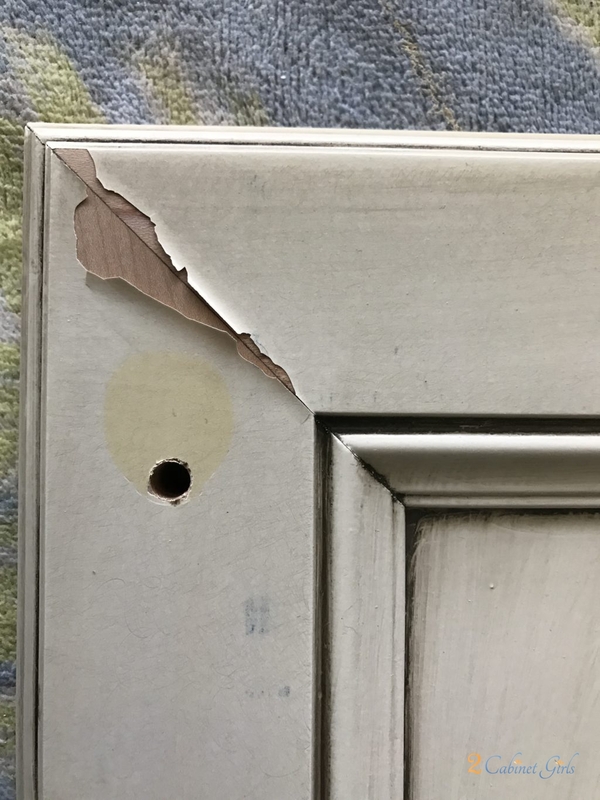 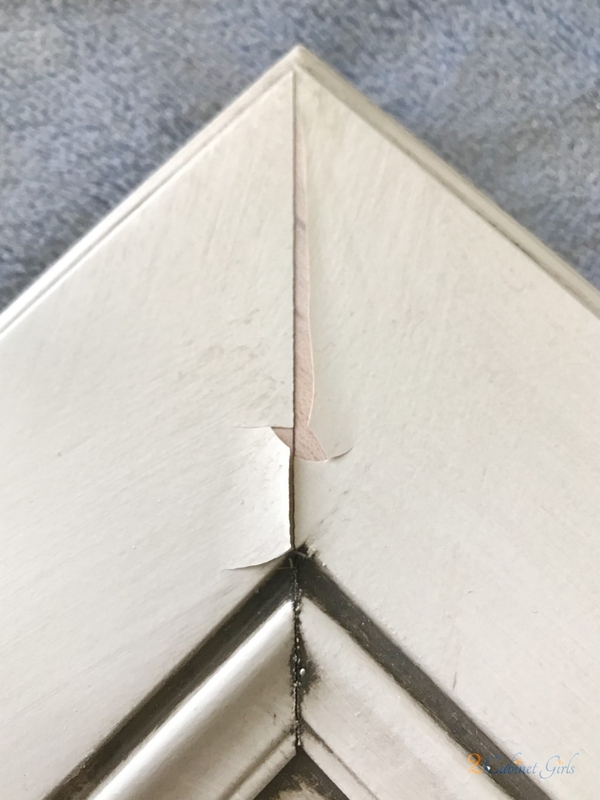 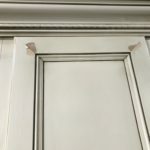 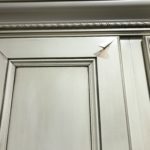 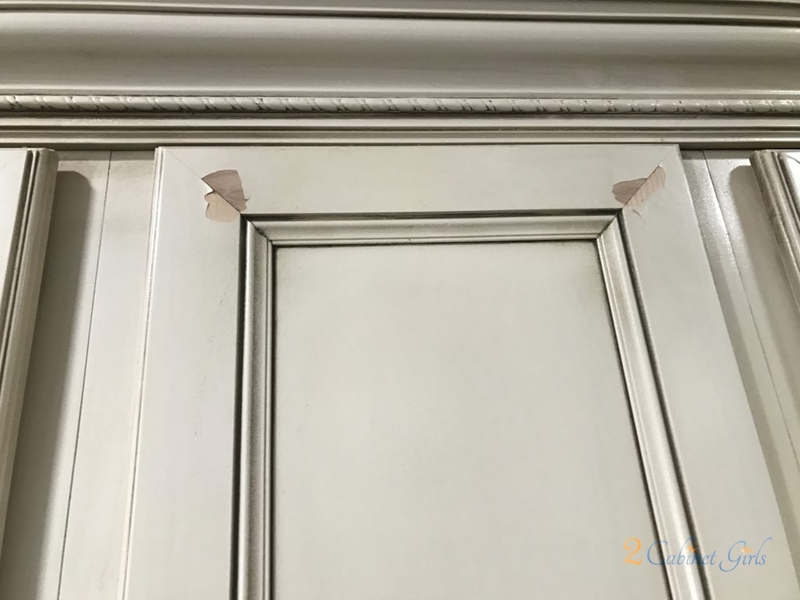 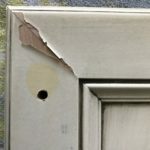 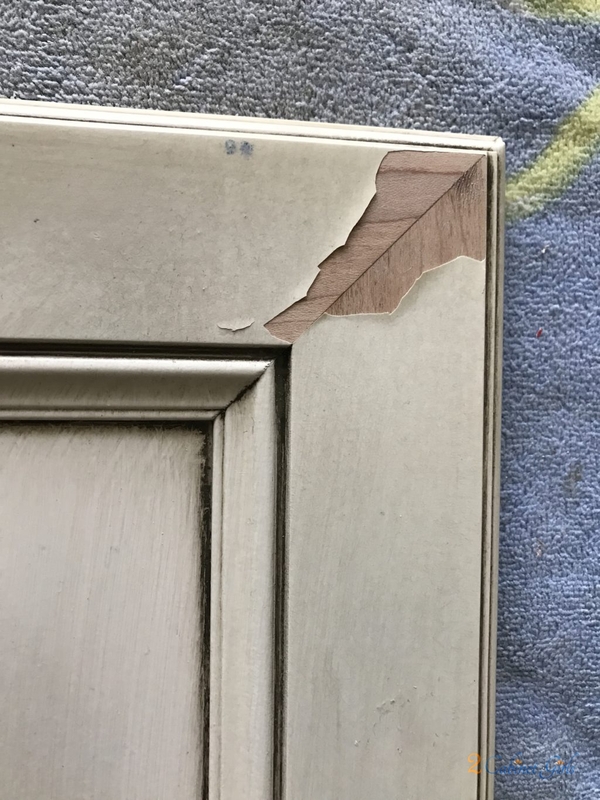 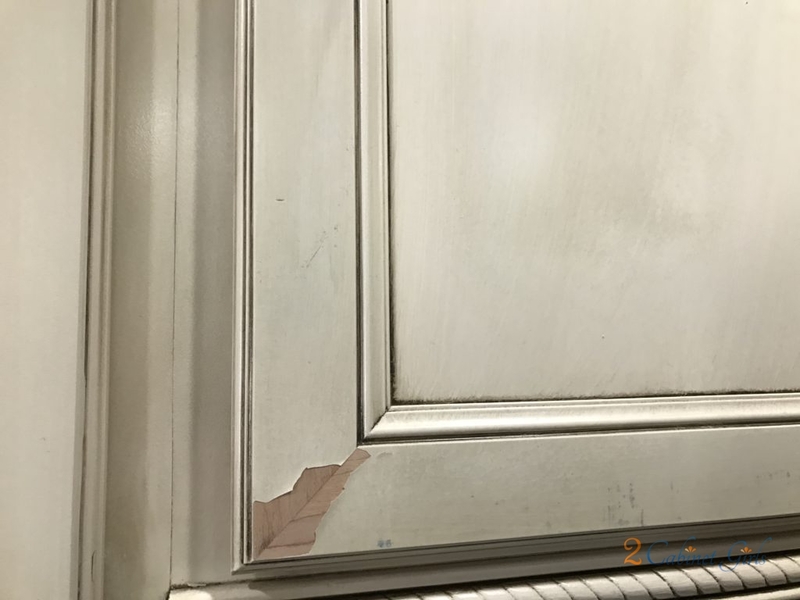 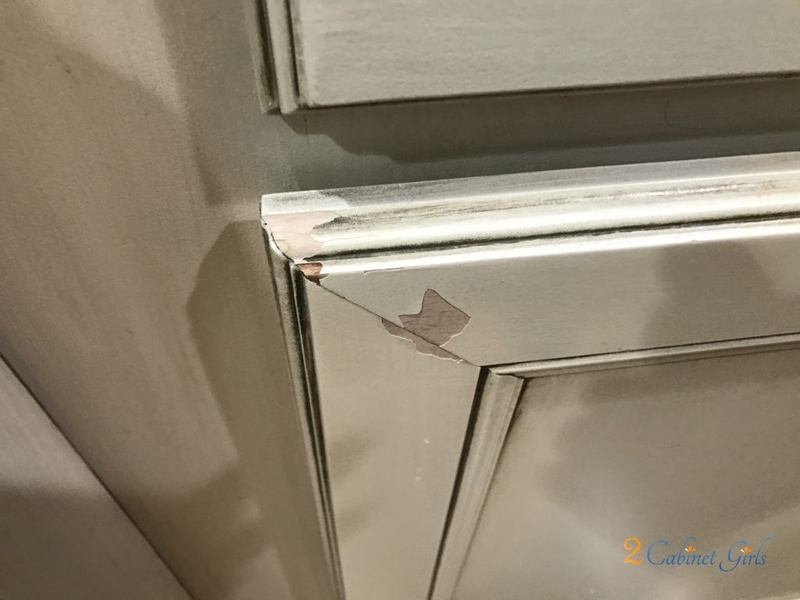 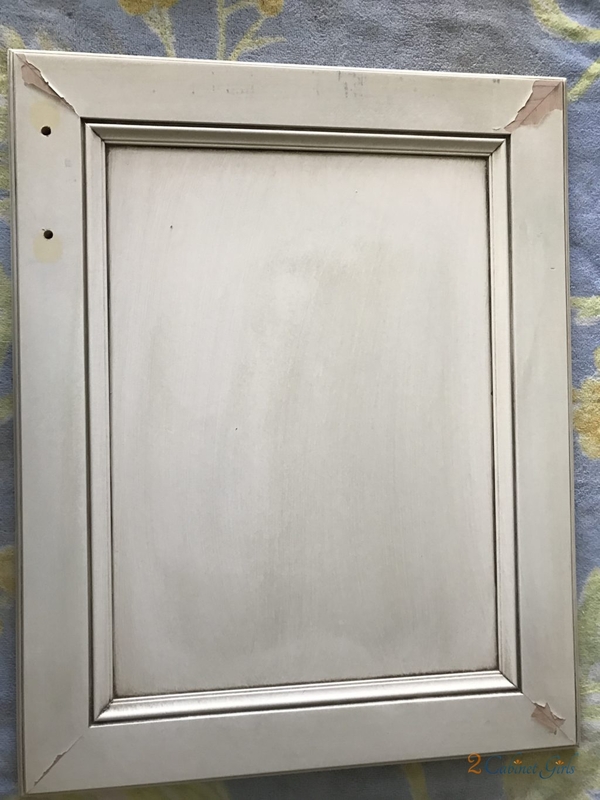 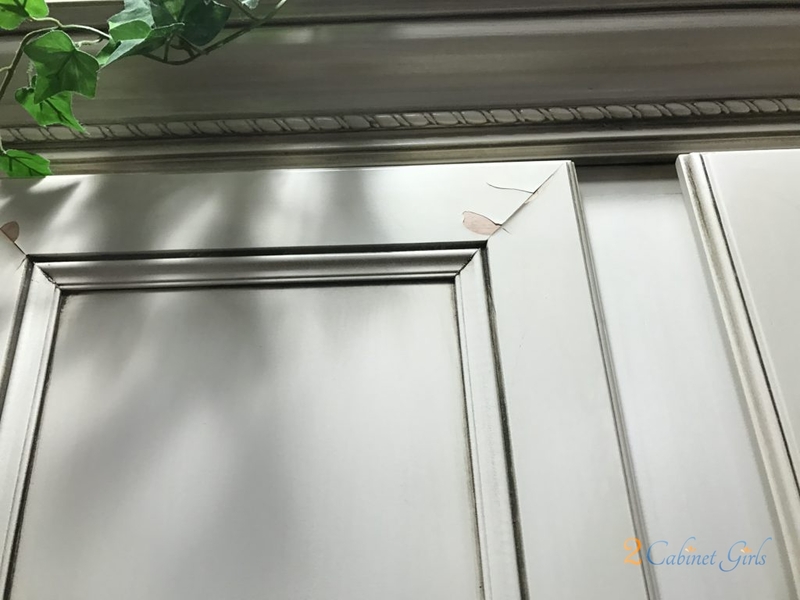 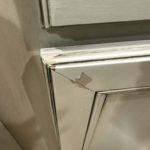 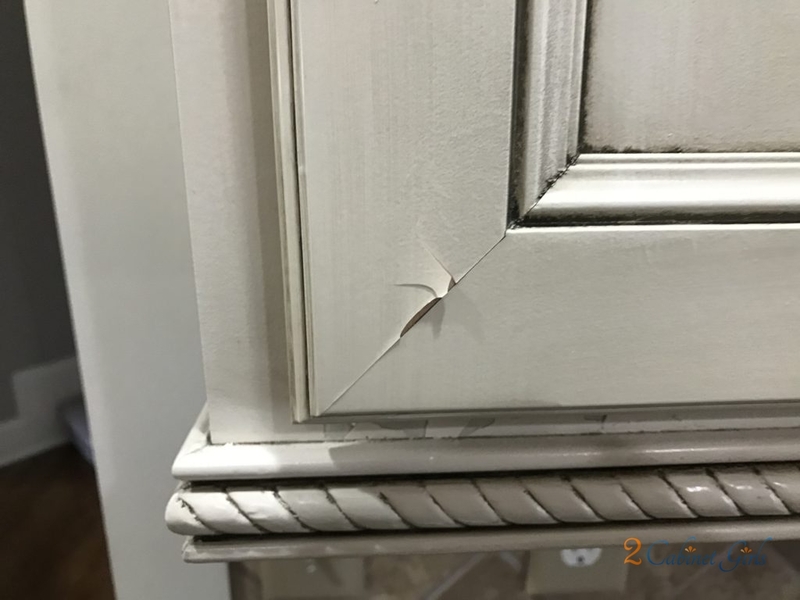 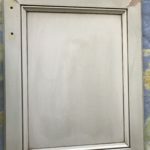 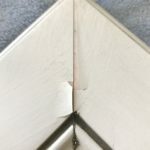 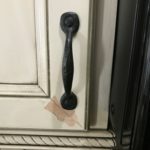 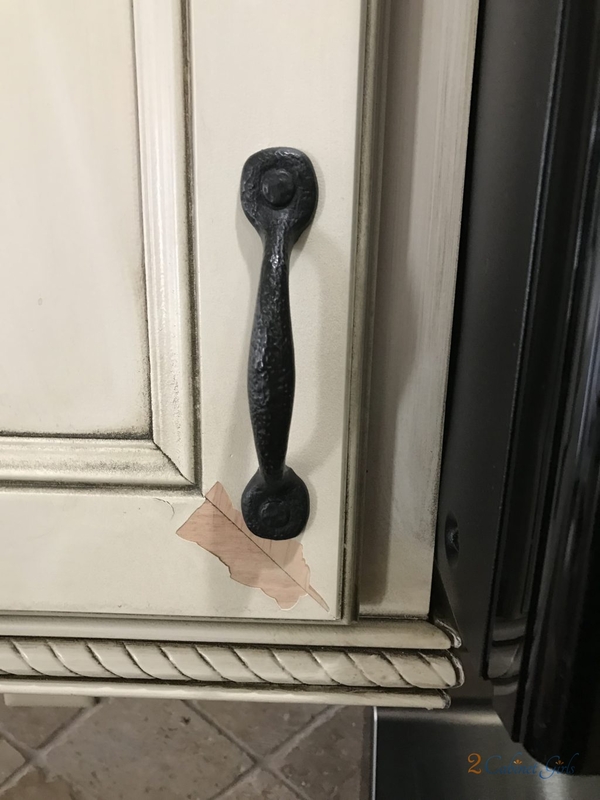 Our customers were in the process of selling their home and they new they’d need to repair all the peeling doors in their kitchen. 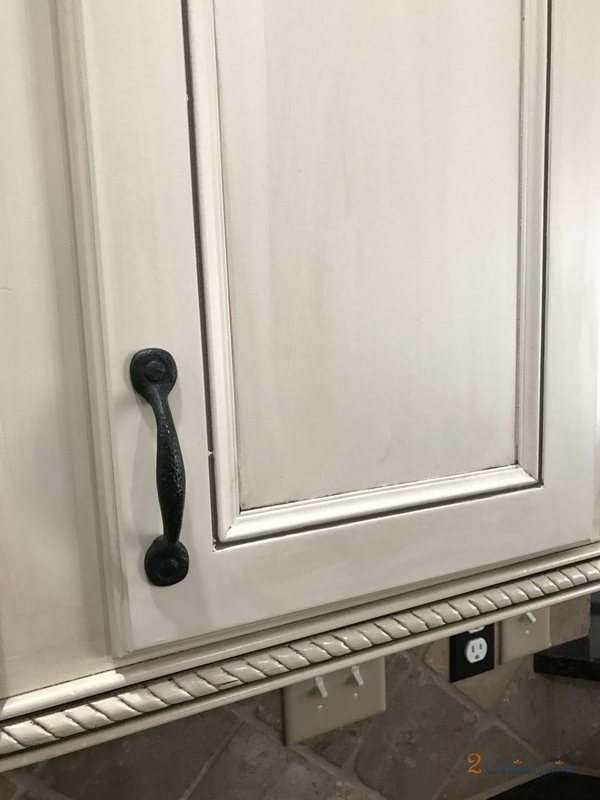 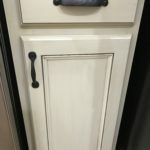 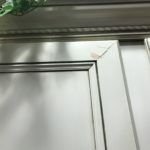 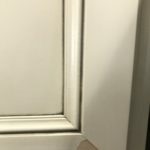 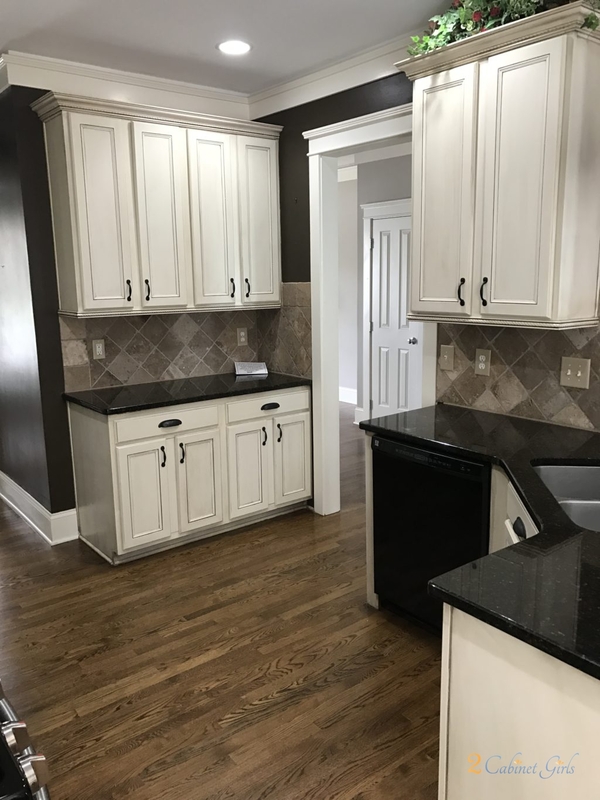 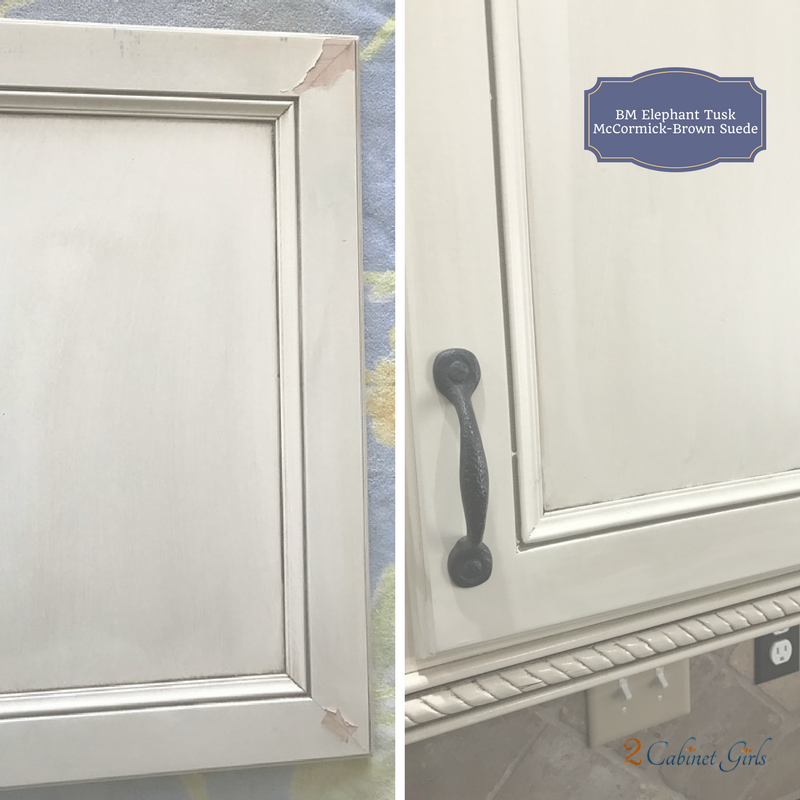 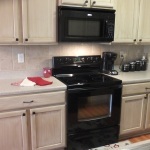 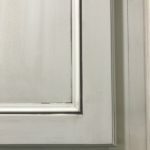 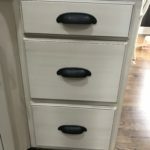 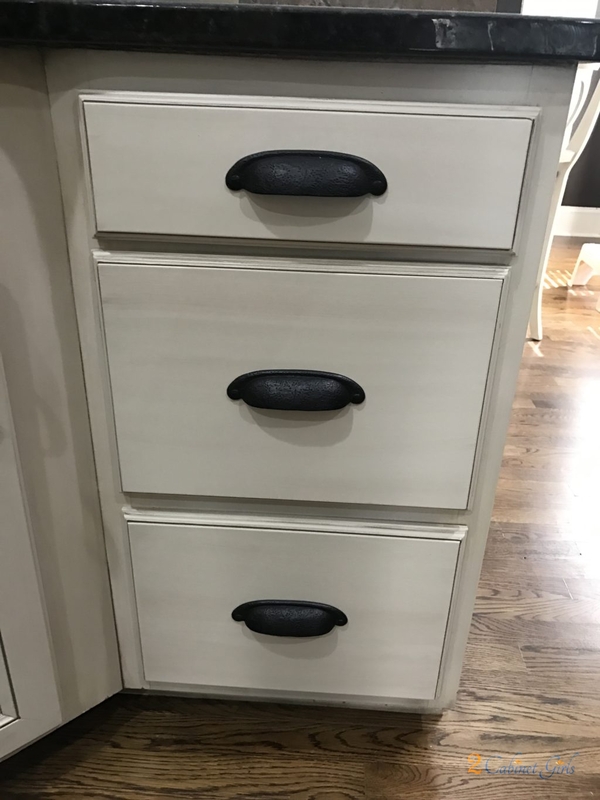 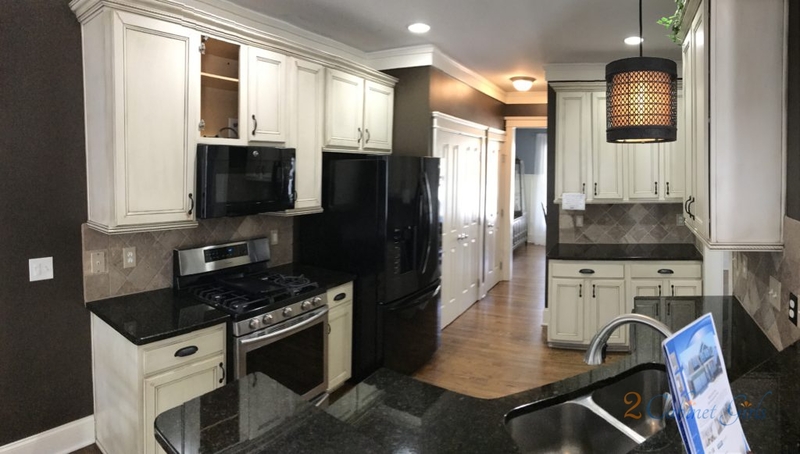 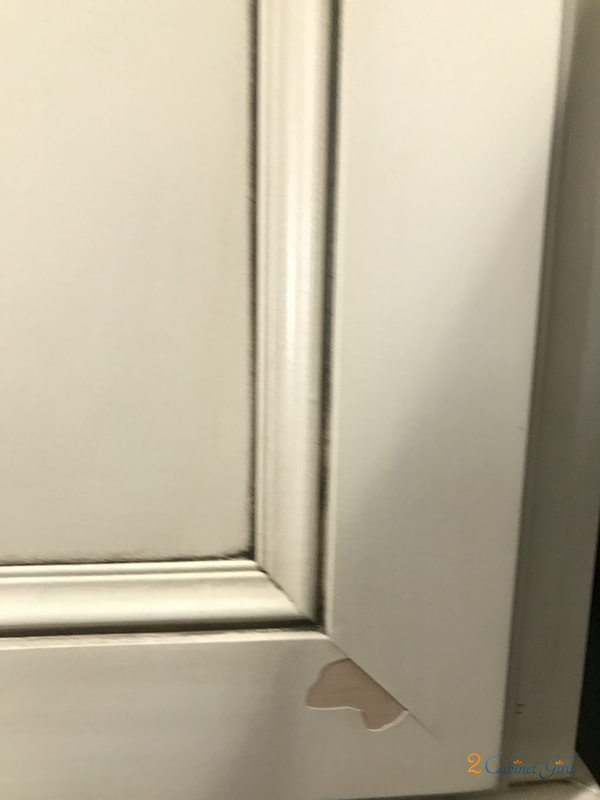 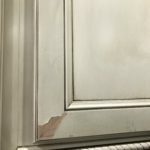 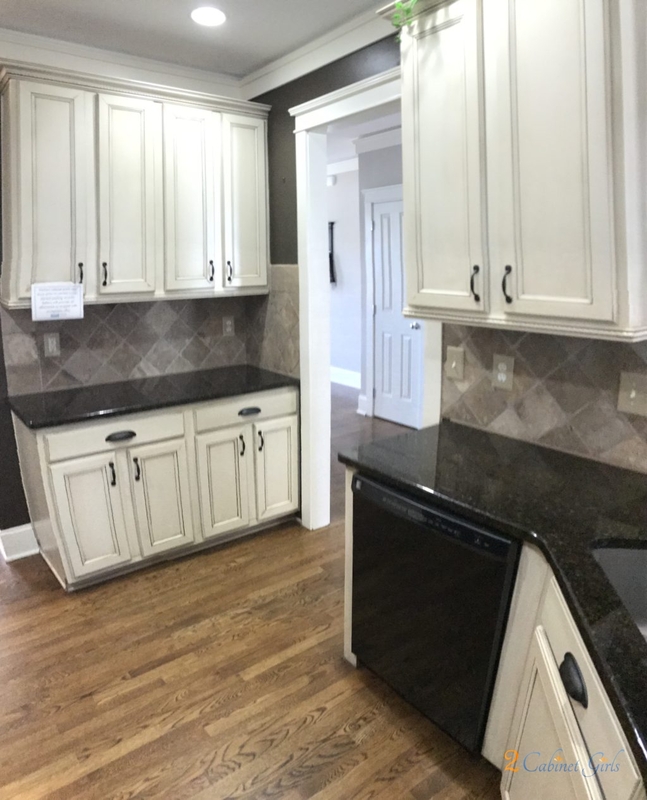 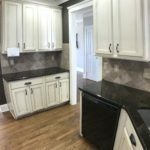 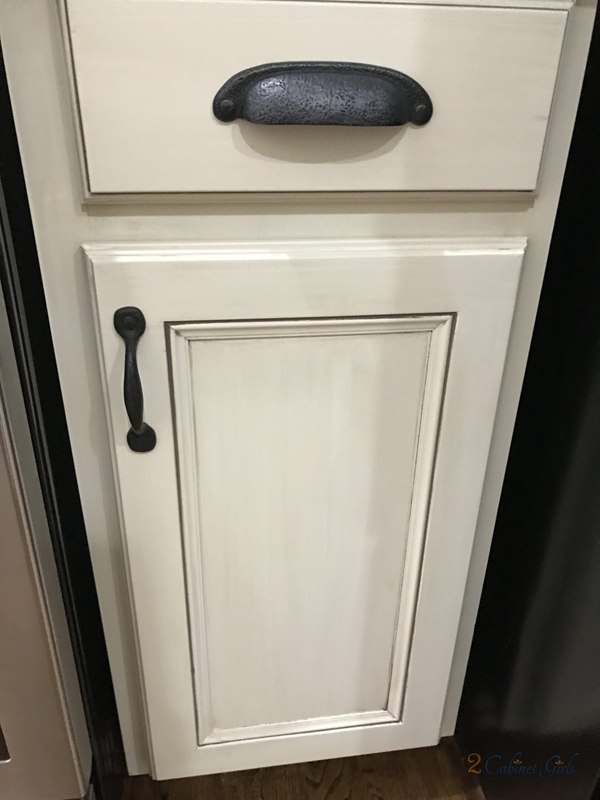 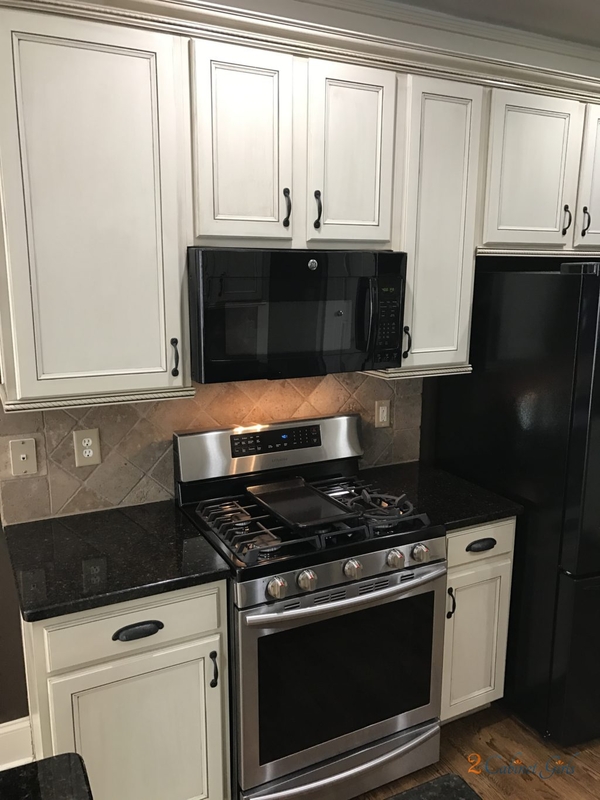 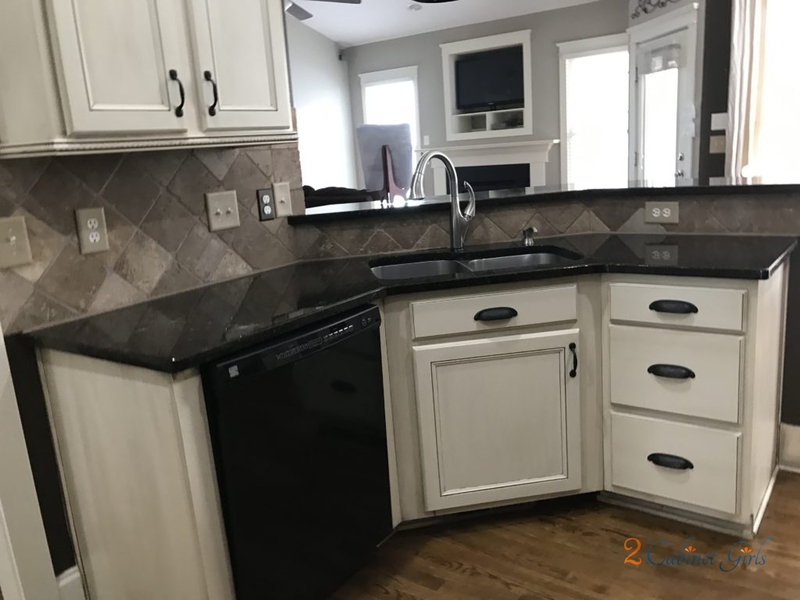 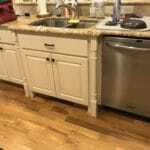 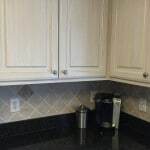 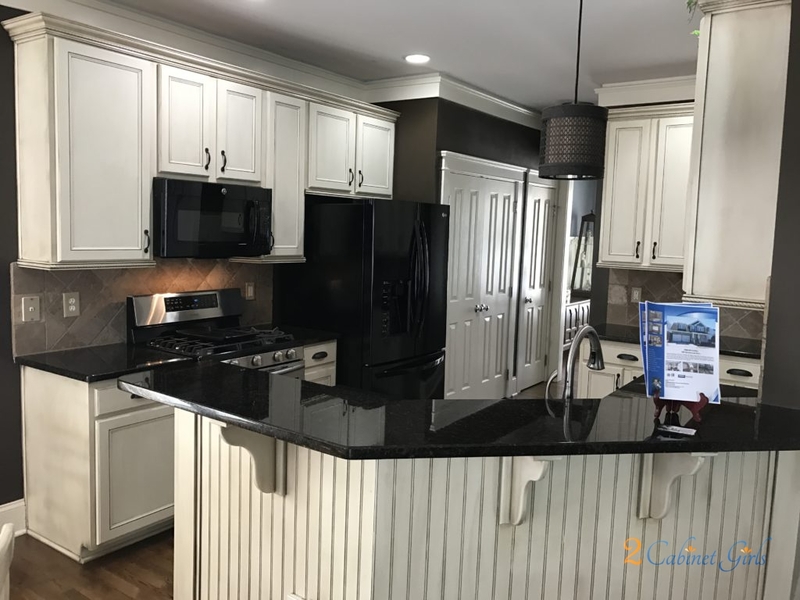 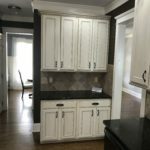 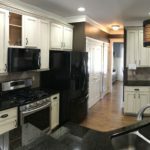 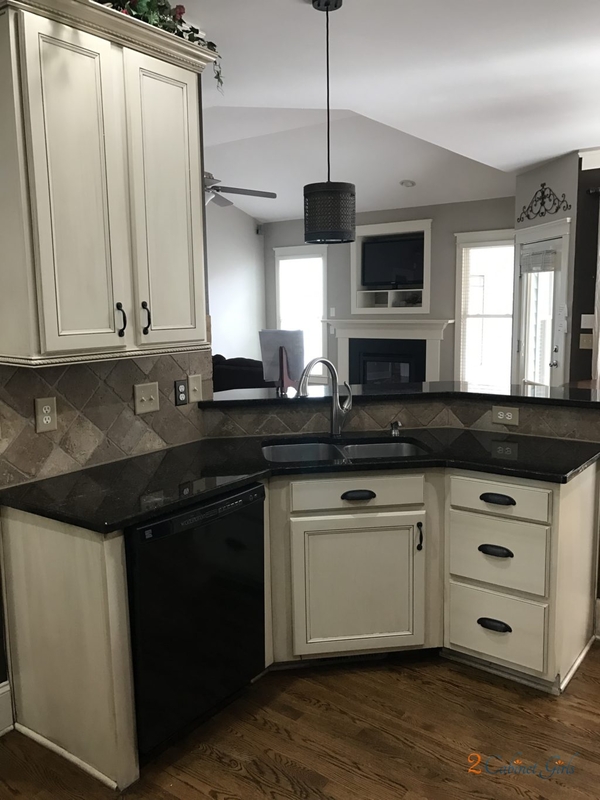 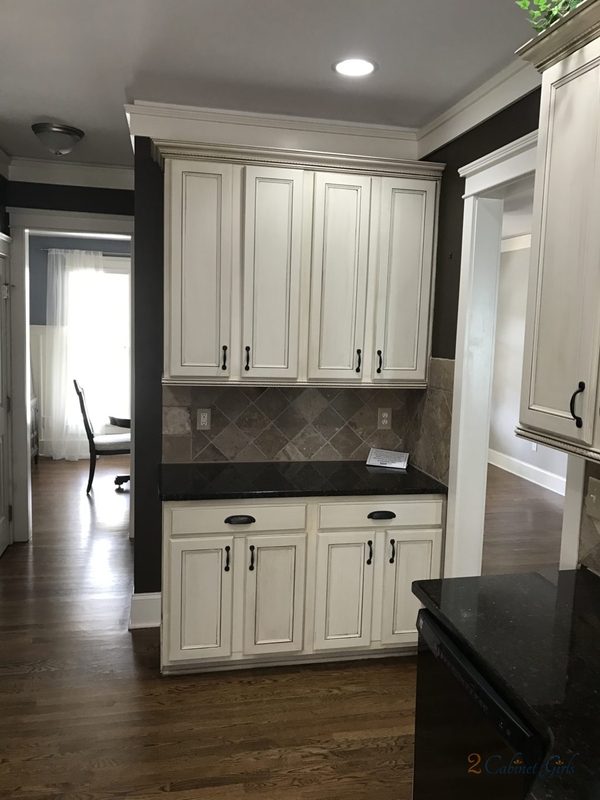 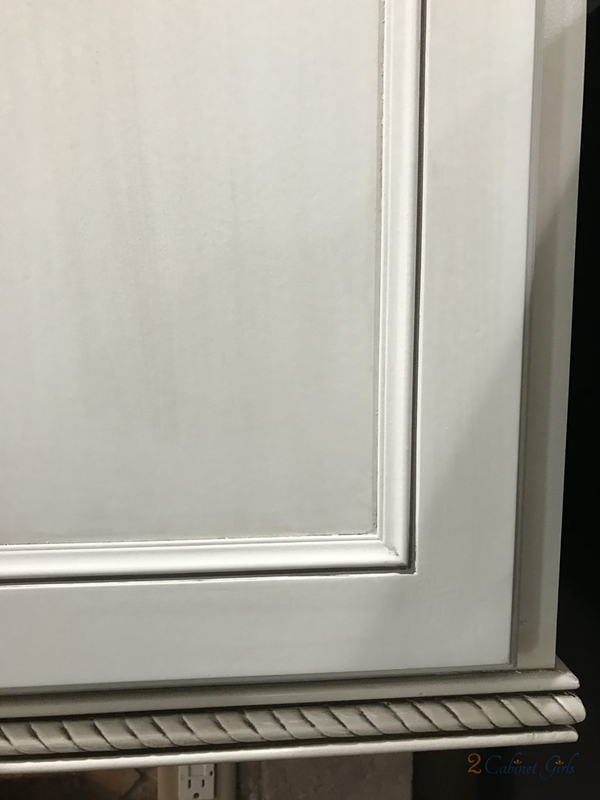 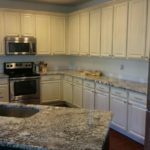 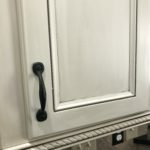 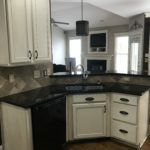 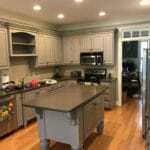 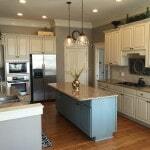 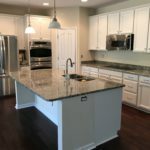 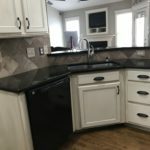 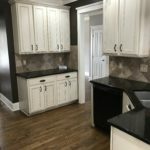 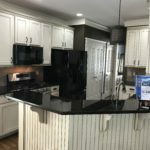 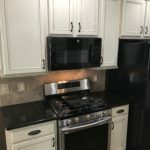 But unfortunately they didn’t know the colors that were used on the cabinets since they were painted before they purchased the home. 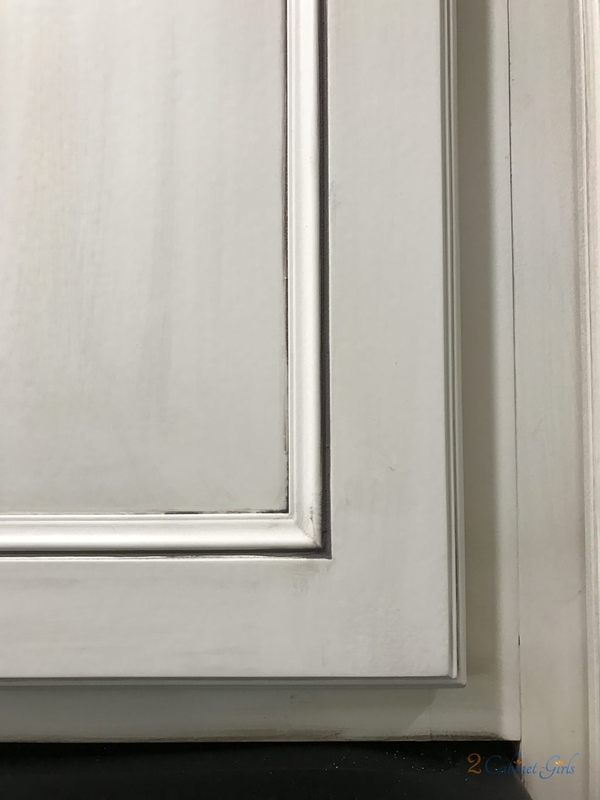 We did some sampling and came up with a color for the paint, as well as the chocolatey glaze and they were spot on! 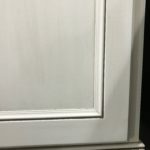 And to help keep costs down we only sprayed the fronts of the doors and left everything else as is.